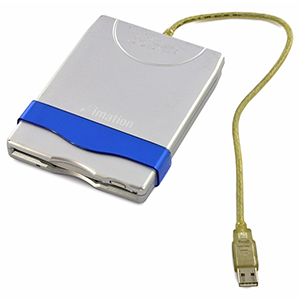 Simple USB-powered drive to read and write 3.5-inch floppy disks. Works with Windows and Mac. There are USB Floppy Disk Drives available for checkout.